Ben Stiller is dying to do a sequel to the film that delivered those unforgettable Zoolander quotes. It’s been years in the making, but fans, take heart: If it took all those years to finally get a sequel to Anchorman, perhaps Zoolander 2 will still be happening. In fact, in a recent interview with Vulture to talk about his HBO show The Leftovers, the man who was hired to pen a script with Stiller, Justin Theroux, reported that they may be closer than we thought. “Yeah, we’ve got a script for the sequel, and we’ve just been in talks again. We’re trying to sharpen it and hone it. I don’t want to jinx anything, but it looks like it actually might be starting to get up and running,” Theroux said. 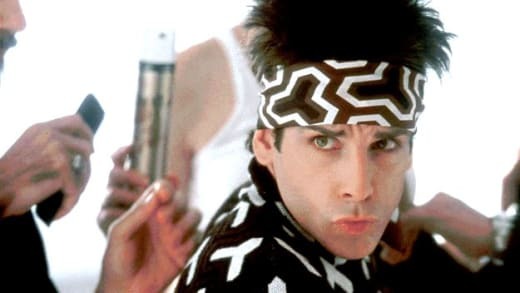 Theroux had been attached to direct Zoolander 2 (Stiller helmed the first one), but admitted that it may be all he can do to help deliver the script. “I don’t think I’m going to direct it anymore,” he admitted. Watch Zoolander online and witness why this 2001 film still has fans clamoring for a follow-up.